Hey there, internet! It’s been a minute. & I’ve missed you so! Life in Starland has been…complicated, as of late. That said- lots and lots of good changes are in play and I’m really excited for all the awesome stuff I have coming up to share! First and foremost- I’d like to tell you about this project. I haven’t tried to do a yearly project since the Tank Girls Calendar that I did in 2006. That went over really, really well back then- so I thought to myself that I was way overdue to try to do something like that again. Any attempts to do a 365 photo project or even a 52 weeks project between then and now have lead to complete and utter failure, and as such, I decided a monthly project was as much commitment I could handle. I also decided that I’ve wanted to work more on recording and music stuff this year, so it was a logical choice to do some kind of monthly song thing! After tossing some ideas around, I decided to do a cover every month with the name of the month in it. This month’s is 11:59 It’s January, by Scrawl. Just in case you’re loading this from a reader, and it strips out the iframe above, you can listen over at bandcamp. This song was suggested by the excellent Douglas Wolk. Thanks, Douglas! I had previously been unfamiliar with the original, and if you are too, here it is on the youtubes for your listening pleasure. While I wasn’t super into the track, I thought the words were pretty spot on for where I am right now, and so it became the clear winner amongst an admittedly small group of January songs to choose from. If you have a suggestion for a month-named-song you’d like to hear me do, please leave a comment, or drop me an email! This January was a huge amount of change all at once. + Moved to the mission. My house is number 12 1/2 & I adore that so very much. 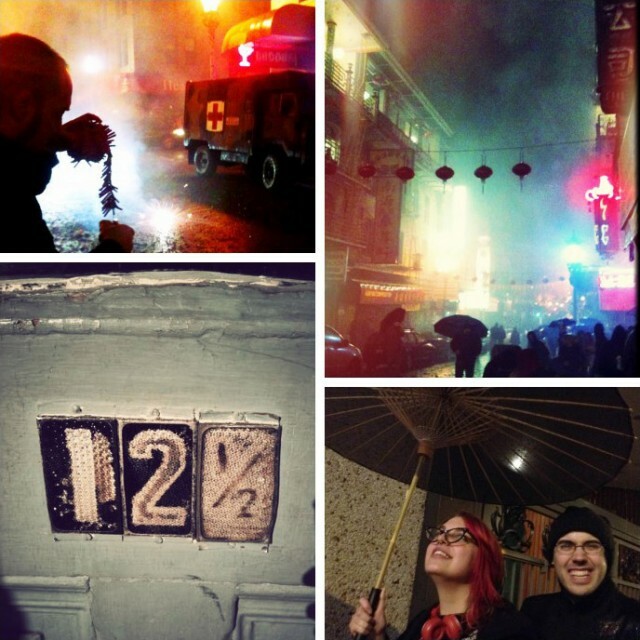 + Celebrated Chinese New Year in the pouring rain- throwing fireworks into the street as part of the Chinatown bang. I got to share this with 3 of my favorite people in the world & it felt like the fresh start that I was really needing after all the craziness at the end of last year. + Got offered my first solo gallery show in years. + Booked a show with Corpus Callosum for March. + Bought more furniture than I ever have in my entire life thusfar- new house pictures coming after it all ships to me. + Found out a story I wrote and drew for an anthology about 5 years ago is finally going to come out this year. All in all, despite a lot of transition, this has been a pretty great month. Here’s hoping the next one keeps going in that direction! 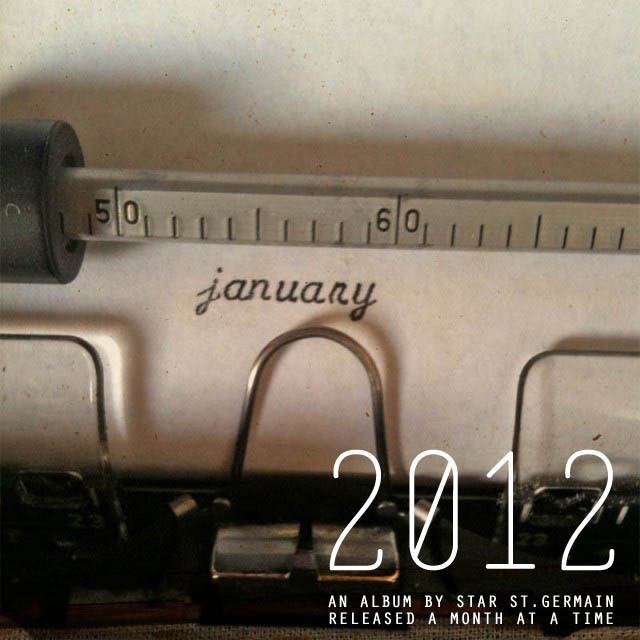 2012: An album of covers, a month at a time.